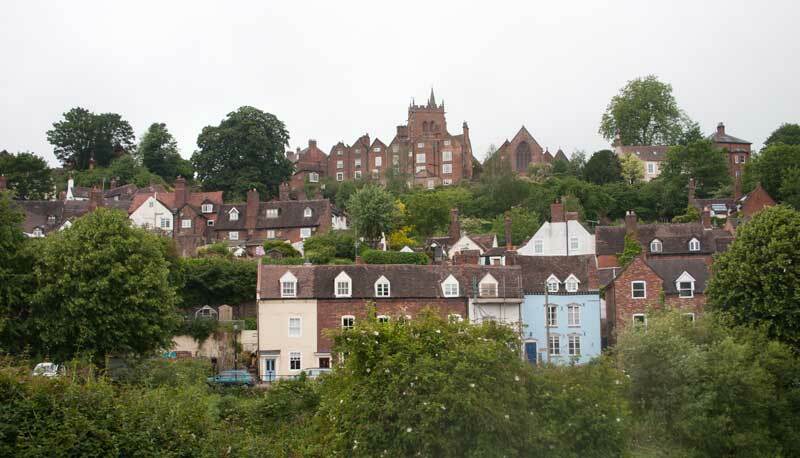 Bridgnorth is a town of just under 12,000 population in Shropshire which lies on the River Severn, the town is split into High Town on the right bank and Low Town on the left due to the high ground on one side of the river. 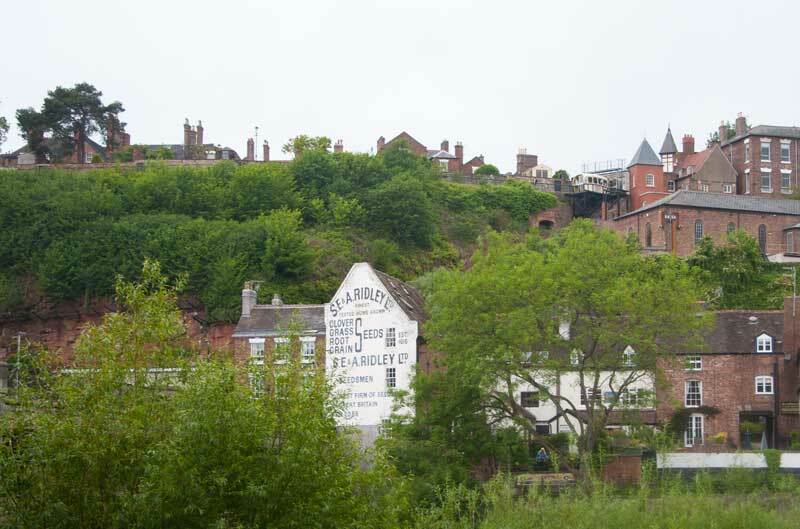 This difference in elevation is sufficient for the town to have Britain's only inland Funicular (or Cliff) Railway. 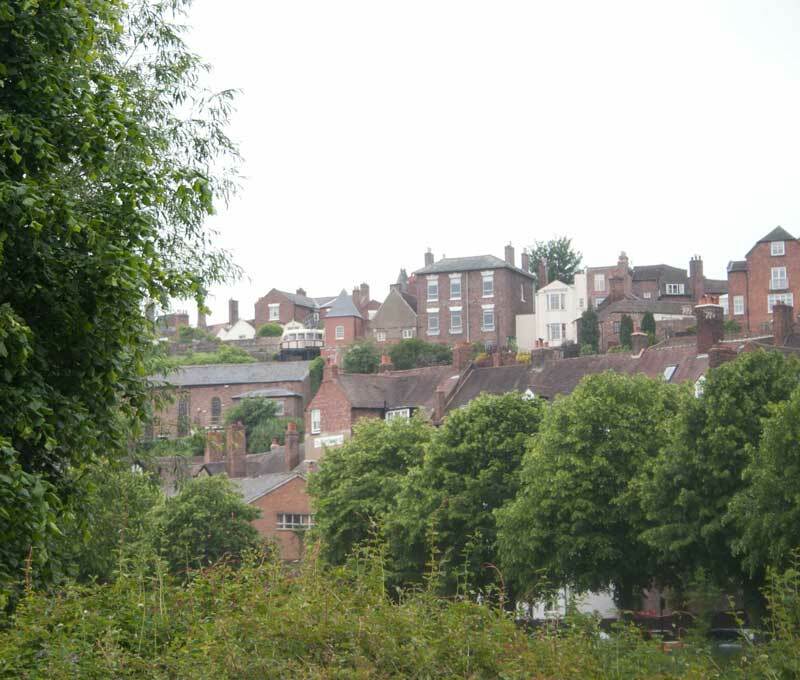 A view across the River Severn showing how steeply High Town rises from the river. 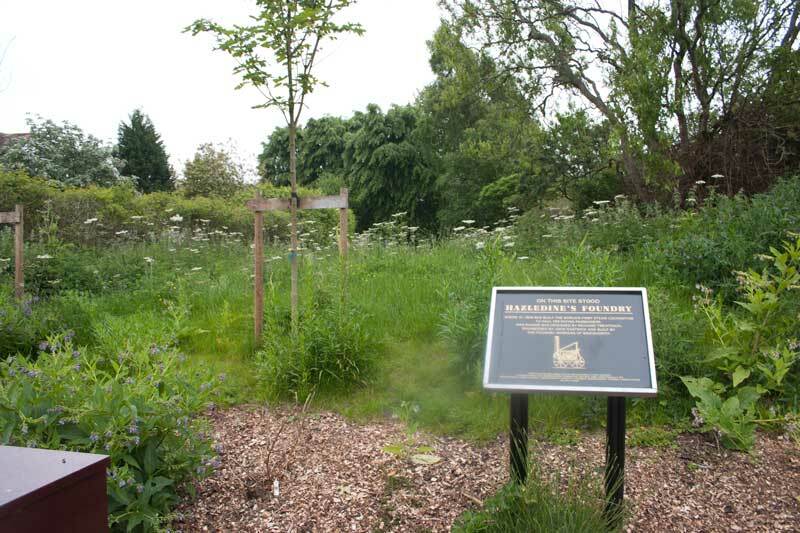 The site of Hazeldine's Foundry beside the river. 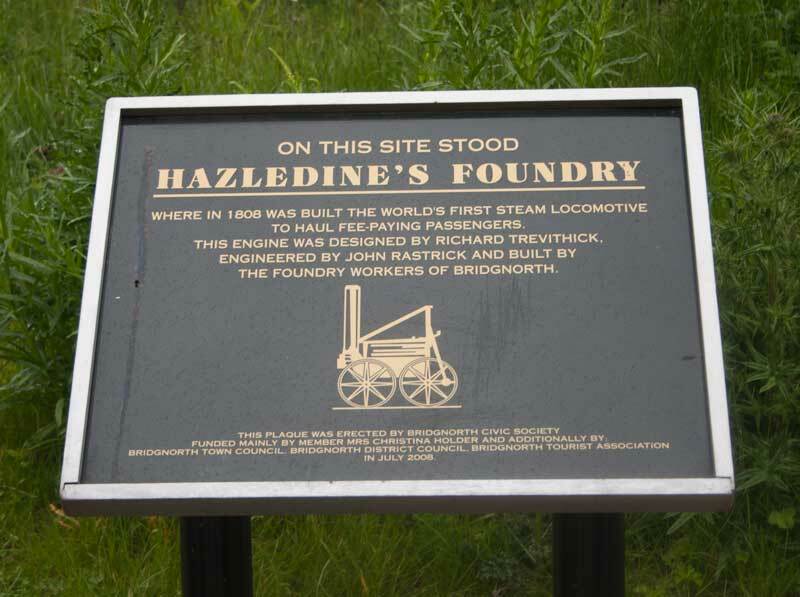 Detail of the plaque recording an historic product of the foundry - the first steam locomotive to haul fare paying passengers designed by Richard Trevithick. Back to a view across the river, you can see one of the cliff railway cars in its upper terminus. 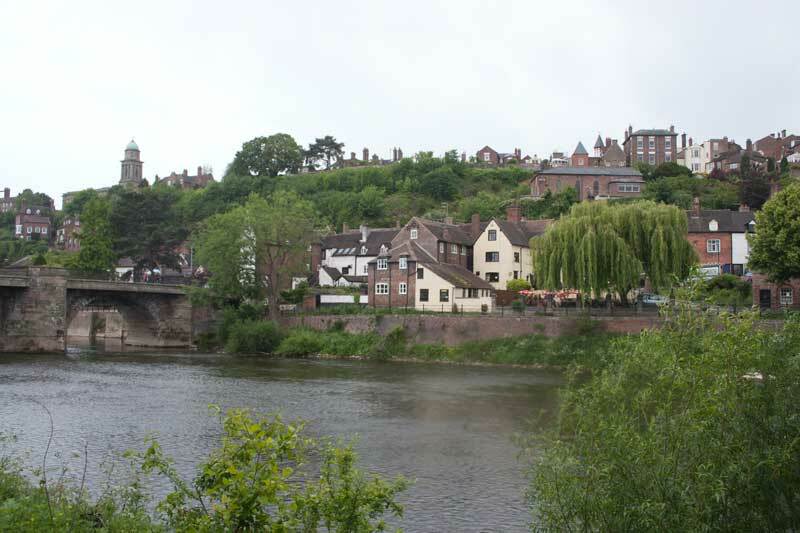 Another view across the Severn showing the bridge that gave the town its name and a church tower high on the cliff opposite. A similar view this time also including the cliff railway car at the top of the cliff. The importance of the town as an agricultural centre is shown by the seed merchant's sign. 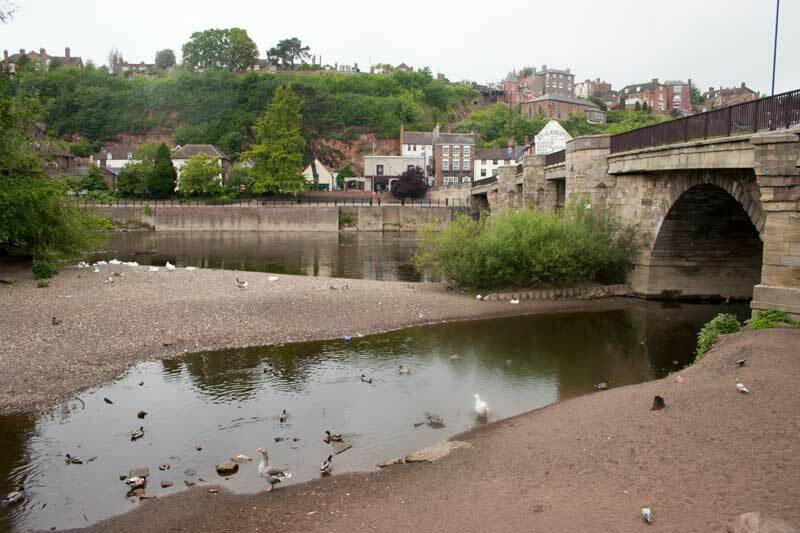 One branch of the river was almost dry during our (slightly wet!) 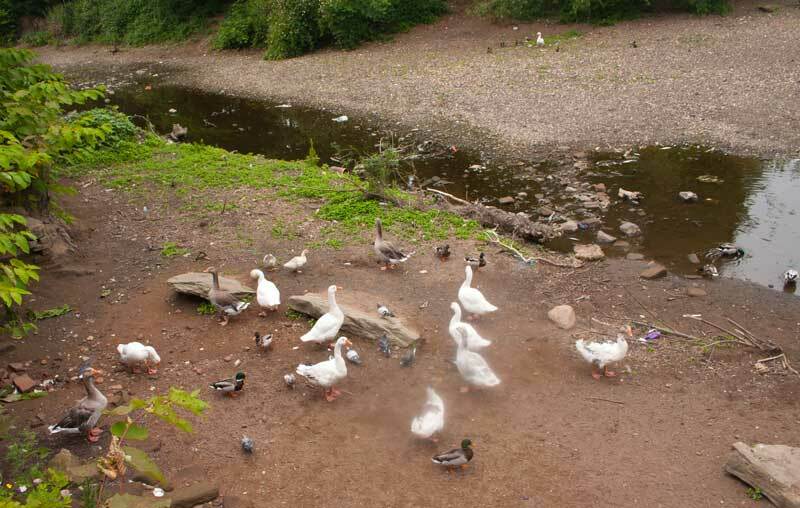 visit, it was mostly geese looking to be fed, a change from the usual mallards! 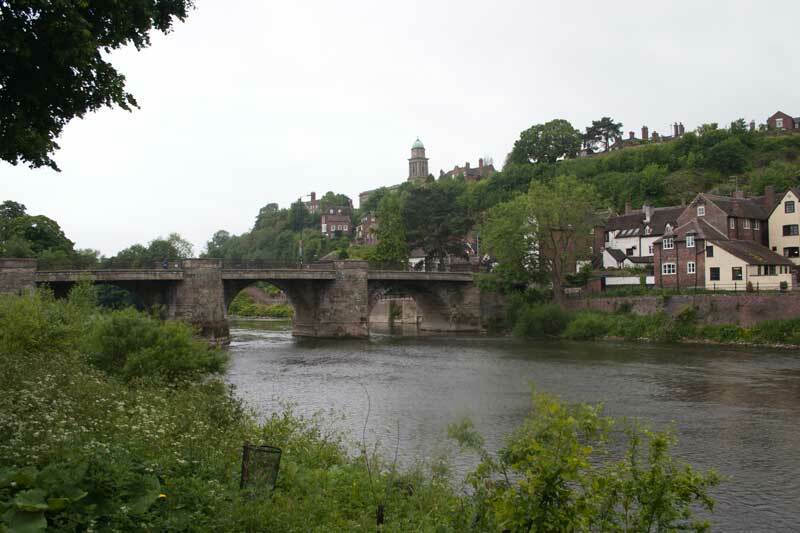 A last view of the bridge, river and High Town.